Dylan Thomas was born in Swansea in 1914 and Augustus John in Tenby in 1878. They met in the mid-1930's in London, at the Fitzroy Tavern, a pub in what was then central London's creative 'hub', Fitzrovia where they became close friends. It was during one these nights that John introduced his then lover, Caitlin Macnamara, to Dylan Thomas. Thomas and Macnamara started a relationship almost immediately and married a few months later. 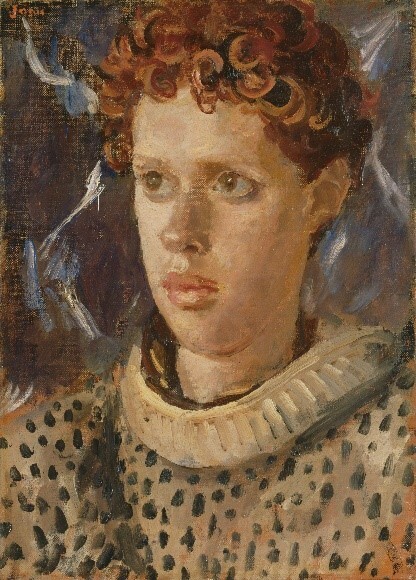 This portrait of a 23 year old Dylan Thomas is important to national heritage because it links two of these influential figures in British cultural history and is an 'eloquent projection of Welsh contributions to international progressive artistic endeavour,' as stated by the expert adviser to NHMF.